Now we officially opened this website to get enquiry and order, including form mail, all website pages are working well. Please send us form mail about your enquiry or call us to make a booking. 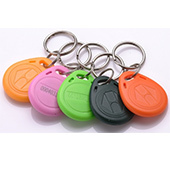 Especially, for a while we provide special big discount for all types of rfid key card, even only one copy. Just check how much you get discount, and make an appointment now. Welcome to our great services. Thanks. No. 1 Licensed swipe RFID key fob & card cloner in Sydney by Lupin’s Golden Key Locksmith & Security (Master License 410563404).